The Pink Patch Project is a collaborative effort between public safety agencies throughout the nation designed to raise public awareness and funds for breast cancer education, research, and treatment. 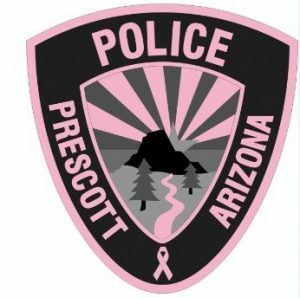 In recognition of Breast Cancer Awareness Month in October, members of the Prescott Police Department will wear pink patches on their uniforms in an effort to raise awareness about this disease and the importance of early detection as well as the essential work that must be put forth to find a cure. This is also a way for the Prescott Police Department to show special support to several members of the Prescott police family who are facing this disease.